Harajuku girls in twin styles with outfit sets of matching digital prints, studded boots, black backpack and white caps. 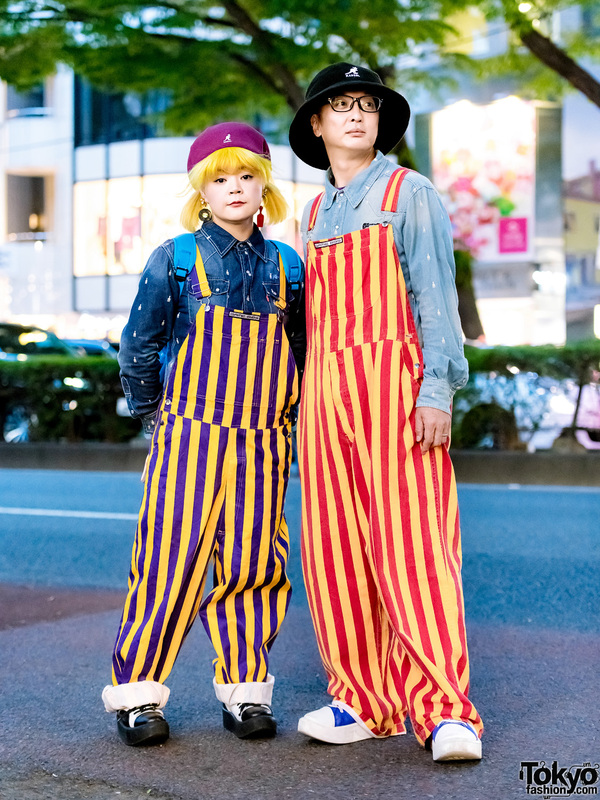 Harajuku remake fashion couple in matching printed t-shirt, matching shorts, and Tokyo Bopper platform sneakers. Harajuku girls with long hair and bangs in black tops and matching pink lace shorts from Bubbles. Harajuku girls in matching oversized sweatshirts styled with tote bag & platforms vs. backpack and slip-ons. Harajuku duo in matching outfits with tan trench coats, skinny jeans, white shirts and black heeled shoes. 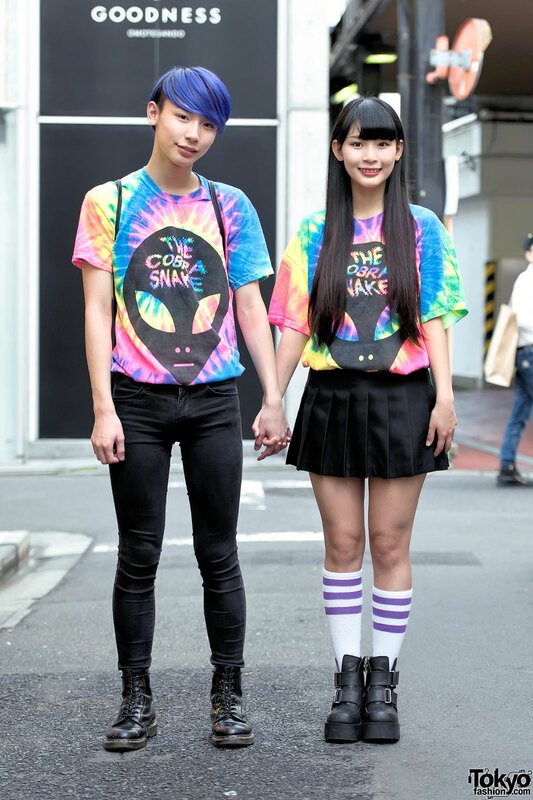 Harajuku brother and sister wearing matching tie-dye shirt with a pleated skirt and skinny jeans plus black leather boots. Harajuku girls in matching outfits, wearing twin buns, denim overalls, backpacks, sneakers and hypnosis glasses. Harajuku Girls in twin tails and matching outfits with kanji-print tops and pleated skirts, sandals and sushi socks.